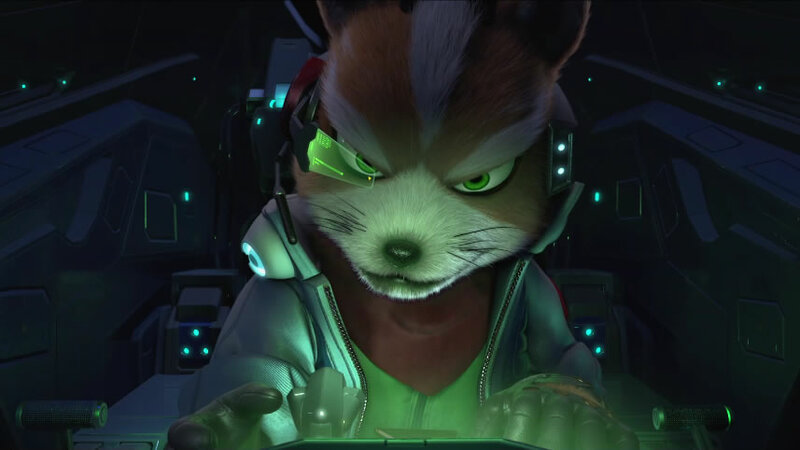 Shigeru Miyamoto made a surprise appearance at Ubisoft's E3 2018 briefing to herald the arrival of Star Fox's Fox McCloud as a Starlink Switch exclusive. The Ubisoft E3 2018 briefing has finally concluded, and game fans were treated to a number of musical performances and surprising reveals. Aurent Malville, creative director of Ubisoft Toronto, took to the stage to talk more about Starlink: Battle for Atlas, eventually culminating in the surprise appearance of Shigeru Miyamoto and the reveal that Starlink would play host to the arrival of both Arwings and Fox McCloud from the Star Fox franchise. It seems like no one expected the visit from Miyamoto, who stood up to a cue of wild applause from the crowd. Miyomoto was then gifted the first prototype Arwing from Starlink, both as a special treat and a commitment to Ubisoft's relationship with Nintendo. The Starlink pitch sounds like a classic recipe: in the Atlas star system 400 light years away from Earth, factions are vying for power. Players will be tasked with forging alliances, hiring crews, and building starships in order to save Atlas from the oppressive enemy legion. Starlink will be launching on October 16, 2018, for the PlayStation 4, Xbox One, and Nintendo Switch. Fox McCloud and Arwings will be Nintendo Switch exclusives.